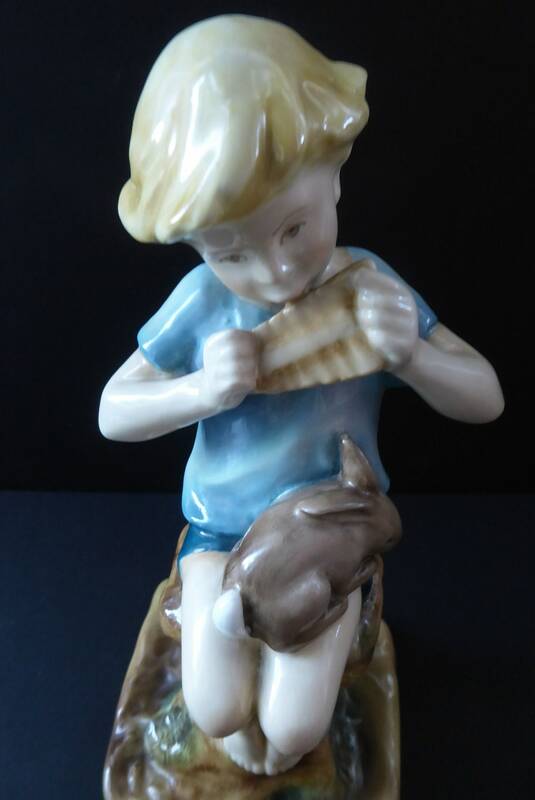 This is a sweet vintage figurine which was modelled by Frederick Gertner for Royal Worcester. 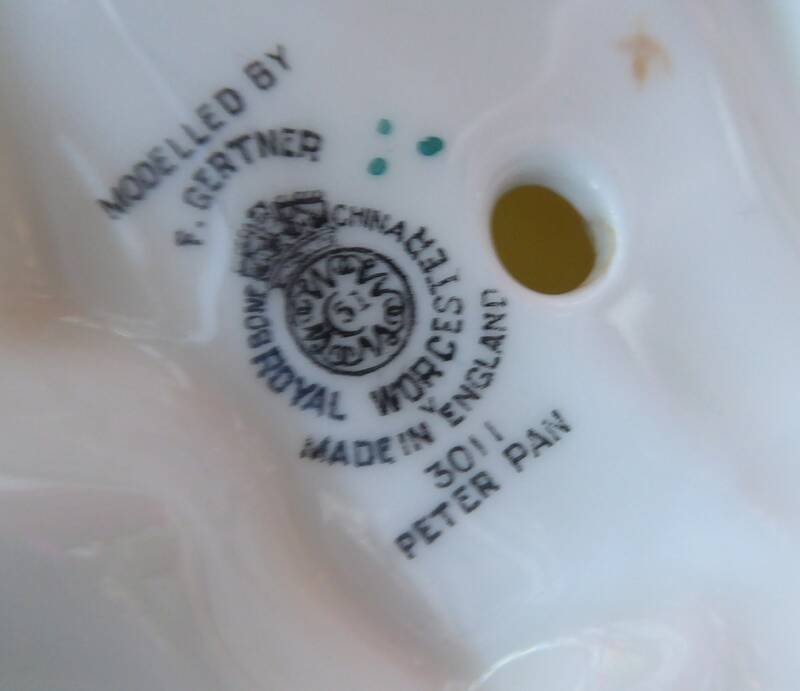 It has a black Worcester stamp with a letter V - which I think dates the figure to the year of production: 1949. 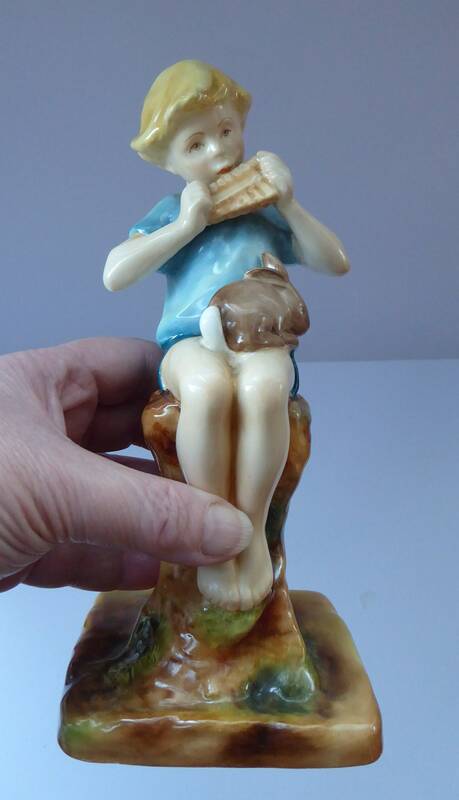 The figure is model No 3011 - and it depicts Peter Pan. 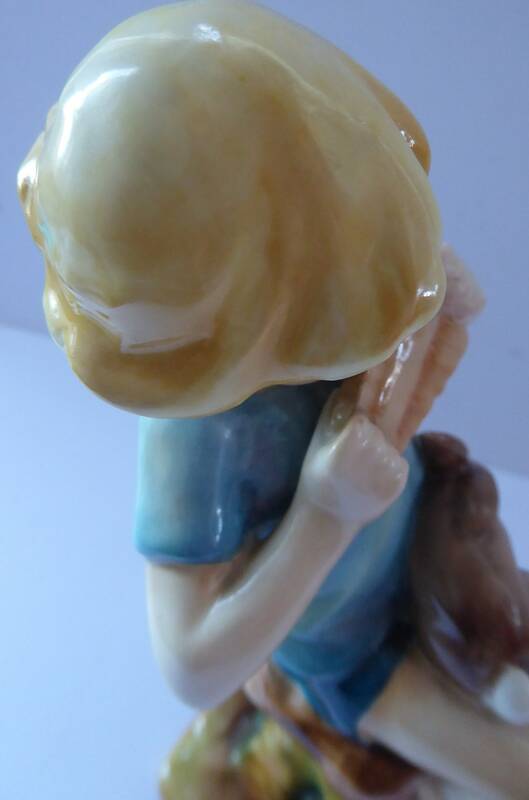 The figure is a larger size and is about 7 3/4 inches in height. 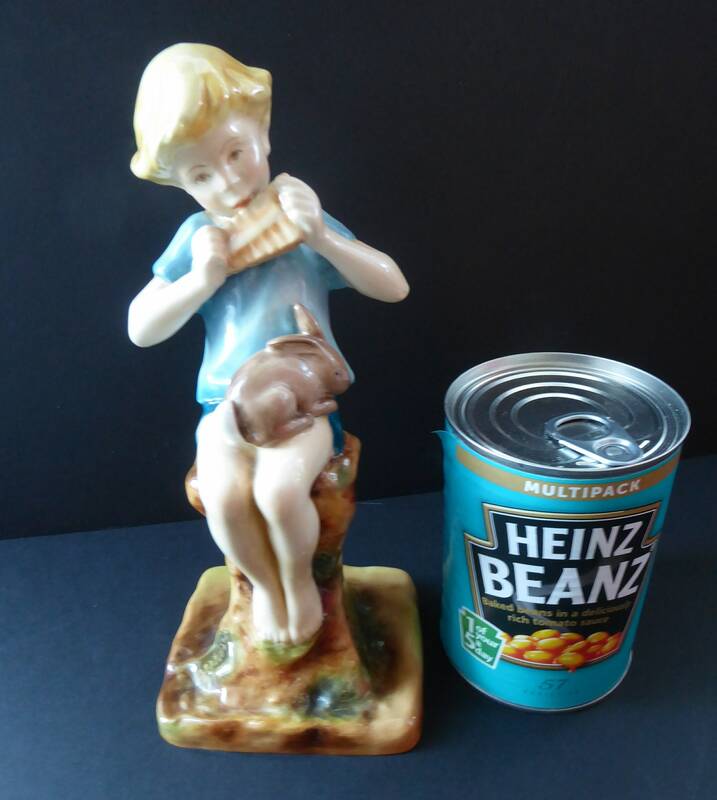 The base is 3 inches wide. 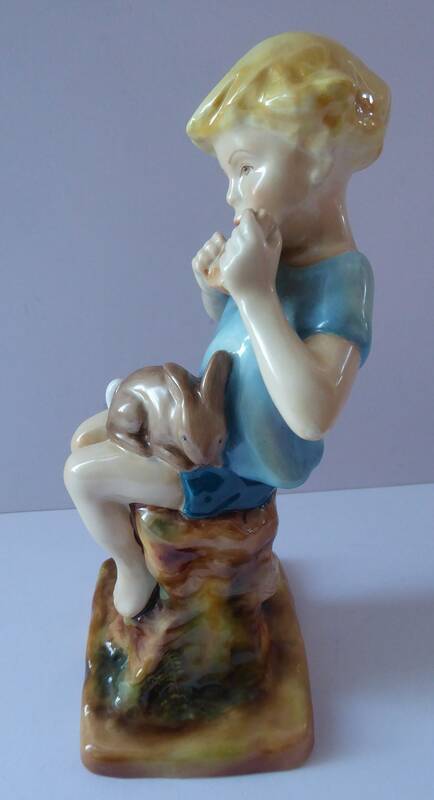 Peter is shown sitting on the tree stump. 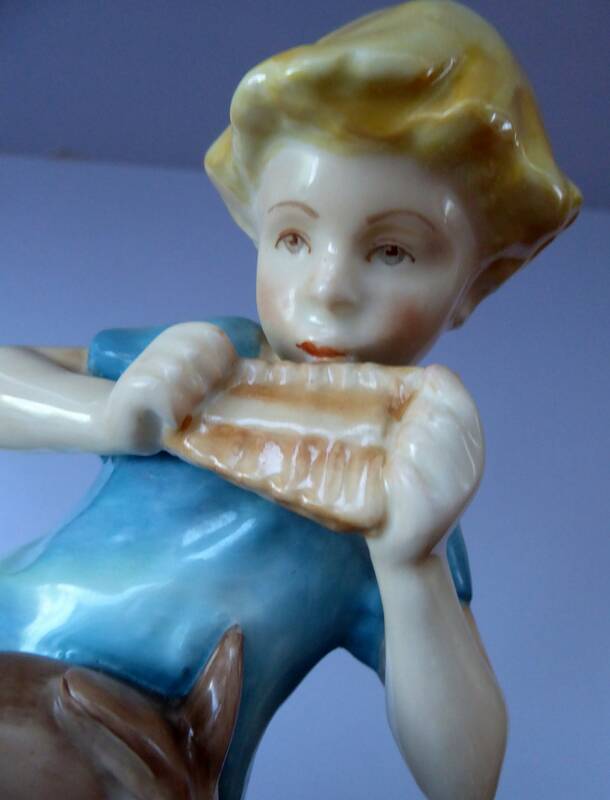 It entertains himself by playing on a little set of Pan pipes. 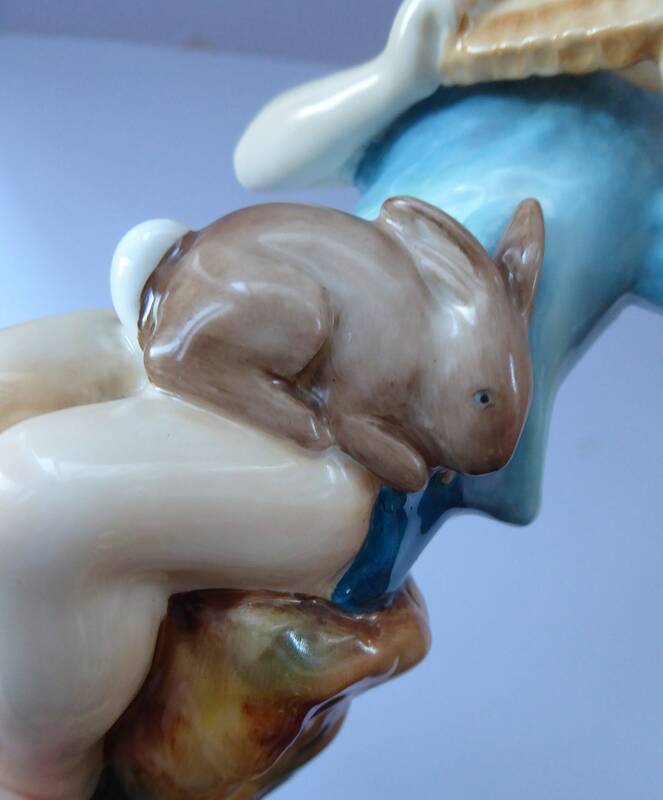 On his knee is the cutest little bunny rabbit - who listens to his tunes. 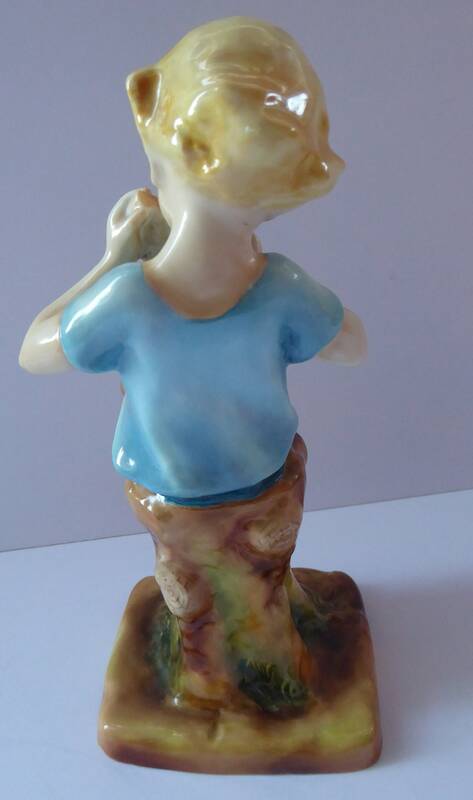 As you can see from my images - he is in excellent vintage condition with no damages. 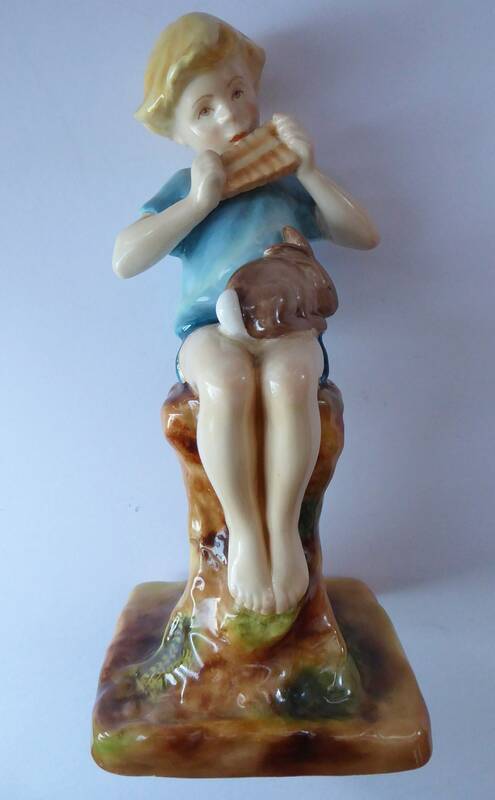 Listed at a very fair price - for this larger and most attractive figurine.